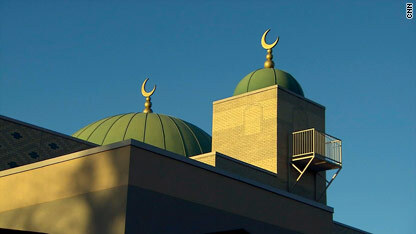 Oklahoma's new ban on Islamic law poses potential legal hurdles. ﻿Oklahoma voters on Tuesday approved a measure that bans the application of Islamic law and orders judges in the state to rely only on federal law when deciding cases. State ﻿Rep. Rex Duncan, a Republican, was the primary author of the measure, which amends that state constitution. For months, legal experts had lambasted the initiative as biased toward a religion and potentially harmful to local businesses that engage in commerce with international companies. It also presents potential constitutional law problems, experts say. Is Oklahoma's state constitution now in direct conflict with the U.S. Constitution's First Amendment, which states, "Congress shall make no law respecting an establishment of religion ... "? ﻿﻿There has never been a previous case in the state in which Sharia law was applied, said Rick Tepker, the first member of the University of Oklahoma School of Law faculty to try a case before the U.S. Supreme Court. Tepker called the passage of the measure "a mess" with implications unknown until a case that challenges it arises. "Many of us who understand the law are scratching our heads this morning, laughing so we don't cry," he said. "I would like to ﻿see Oklahoma politicians explain if this means that the courts can no longer consider the Ten Commandments. Isn't that a precept of another culture and another nation? The result of this is that judges aren't going to know when and how they can look at sources of American law that were international law in origin." What is Sharia law, and how is it defined in the ban? Businesses that engage with international companies may also find the ban is a stumbling block, Tepker said. The ban also requires all state business to be conducted in English. Duncan has said he knew of no precedent in the state's history in which a judge applied Sharia law. But he backed the measure, he told reporters, as a "pre-emptive strike." Congrats Oklahoma. You're the laughing stock of the nation. But its no surprise with such a colorful history of ignorance, hate and bigotry. Blocking laws which don't exist, laws which most probably have no clue what they entail. And prohibiting international law. Wow. I think a better law would be to make breeding illegal in Oklahoma. Shaquille O'Neal is a MUSLIM. Sharia Law is nothing more than to befool the masses in the name of religion. What is happening where these laws have been imposed. There are too many kinds of Sharia. What kind would be be allowed to be implemented. The Usuary (Interest) is severely prohibited but prevailing everywhere. It is policy of divide and rule. Frustration amongst masses out of economic crises is diverted towards religious conflicts. It would be an attempt to pull the society backwards resulting in worsening the law and order position. The way this law is written, annulments would be considered illegal since they are handed down from Rome. It is very common for Orthodox Jews to use Rabbinical law for family disputes, and has been for years. Both of these issues – annulment and a Rabbinical approved divorce would not longer be legal in Oklahoma. This would mean that a Roman Catholic would have to get a legal divorce and never be able to receive any sacraments. In '99 I responded to an "Attempted Suicide" call. An Islamic wife had "jumped' out of her 3rd story apartment window, breaking her back. Her Afghan husband and father-in-law were in the next room when this happened. They were upset with the daughter for talking with a man at work. Since she supported their version of the story and I knew nothing of Islam, it never occurred to me that something else may have taken place. GOOD JOB. TIME TO REMOVE THE EVIL WHICH IS ISLAM. Magnificent issues altogether, you just won a brand new reader. What would you recommend in regards to your post that you made a few days ago? Any sure?